Long distance parenting is one of the most difficult challenges facing divorced parents and their children. Yet, it is a very real experience for countless numbers of divorced families. It is estimated that in North America the average family changes residences every five years. Many families move even more frequently. When parents are living together, moving their family isn’t considered a problem. The problem occurs most often when one parent initiates a relocation that relegates the other parent to being a long distance parent. Some children experience feelings of abandonment by the parent who is not local. Often children blame themselves that a parent is not there while other children feel responsible and guilty for abandoning a parent by moving away. These feeling of guilt and abandonment may have far-reaching consequences for your child’s mental health. The parent-child relationship often becomes more formal from a long distance. Time together must be scheduled in advance and leaves little opportunity for spontaneous moments. For example, there are fewer opportunities for those heart-to-heart talks that happen on the drive home from school or while working together in the kitchen. More parenting time takes place in public spaces, such at restaurants or playgrounds and less time in private spaces like the parent’s home or backyard. Children frequently lose contact with the long distance parent’s extended family, which for children is yet another significant loss. These children lose out on having both parents and extended family in their cheering section at school events which may represent the loss of a huge source of self confidence and pride for a child. Children lose the balance that having two parents provides on a weekly basis. It is well documented that fathers and mothers provide different perspectives and experiences for their children. Both perspectives are valuable and necessary for children as they learn how to thrive in society. Children rack up hundreds of hours of travel time either on the road or in the air. This travel takes them away from their friends and daily routines. It also means that they may not be able to fully participate in team sports or other extracurricular activities that occur on a set schedule. That makes seeing the long distance parent a very big deal instead of a regular part of their daily routine. This scheduling conflict often becomes a sore spot with the child as he or she recognizes that the child is being forced to miss out on things they want to do in order to maintain a relationship with their long distance parent. As the long distance parent, you must work to maintain your relationship with your child. You may feel angry that this task falls on your shoulders since you may not have initiated the move in the first place. It’s easy to feel like a victim and spend your energy blaming the other parent. But feel those feelings on your own time. Be sure to focus solely on your relationship with your child when you are talking or spending time with them. Remember if you are feeling melancholy or angry when with your child…you will reflect those feeling onto your child. Who wants to spend their time with a melancholy angry person. Children will value and relish their time with you if you are able to demonstrate happy and loving feelings towards them. Keep your end of transitions at parenting time exchanges joyous no matter how angry seeing your ex may make you feel…put on a happy face and your child will start their parenting time with you free from any feelings of frustration or guilt. Work hard to remain interested and involved in your child’s life from afar. Make it a point to know the names of the adults who interact with your child: teachers, coaches, scout leaders, other parents, neighbors etc. Similarly, know the names of your child’s closest friends. Take an interest in their homework and in particular activities that interest your child. Do not rely upon your ex for this information. Talk to your child about it, take notes, and refer back to previous conversations during your next contact so that your child will know the information is important to you. Remember that as the adult it is your responsibility to initiate contact with your child. 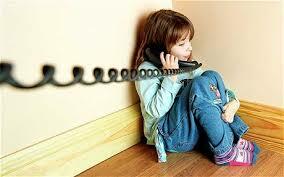 Don’t sit passively by, waiting for your child to call you or send an e-mail. You take the lead! 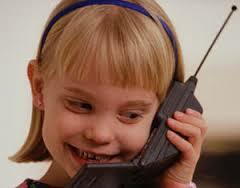 Try not to take it personally if your child doesn’t call you right back or only stays on the phone for a few minutes. Don’t think you are going to “guilt” them into caring about you. Often kids are distracted (perhaps a new toy or television show) and usually their quiet nature at the time has nothing to do with you. Remember, depending on your child’s age they may struggle with vocabulary. Resist the urge to finish their sentences. Just enjoy the time you have with them even if there are long pauses in your conversation. Establish a regular schedule for contact and follow it faithfully. 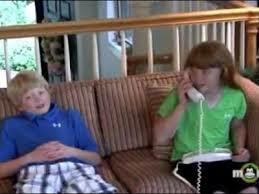 Perhaps schedule your call during one of your child’s favorite television shows and watch it together each week. Or set a time to call when your child will be heading to bed and read a book together during your time. If you say you’re going to call, be sure to call. If you are going to send an e-mail, make sure to do it. Always keep your word! Take notes during your contact so that you can be sure to follow through. All relationships are built on trust. Your child needs to count on you following through on the things they find important. Ask open ended questions. Stick with WHO and WHAT questions; “What is your favorite kind of animal?’ “Who did you work with at basketball practice?” “What did the coach say about your big game?” When talking with your child, try to avoid asking questions that will be answered either “yes” or “no.” Those closed ended questions can lead to short conversations that can be frustrating for you as the parent. For example, instead of asking “Did you have fun at school today?” which is likely to get you a “yes” or “no” answer, ask “What did you do during recess today?” If you know the projects your child is working on, or the homework he has, you can tailor your questions further. For example, “What did your teacher think of your report on France?” “What did your piano teacher say when your lesson was over?” But be careful not to ask questions that may sound as if you are grilling your child about the other parent or things that are going on in the other parent’s household. Stay away from questions that may make your child feel like you are asking him or her to spy. If you are the local parent in a long distance parenting plan, support the long distance parent’s attempts to stay in touch with your child. For example, see that your child is available for a telephone call if one is scheduled. Or set up an e-mail account for your child so that your child can have a way to be in touch with the other parent. Make time and equipment available for virtual visits (Skype) and give your child privacy and space to spend time with the other parent. See to it that all mail from the other parent is given promptly to your child. Support plans by the other parent to read the same book or watch a program on television.